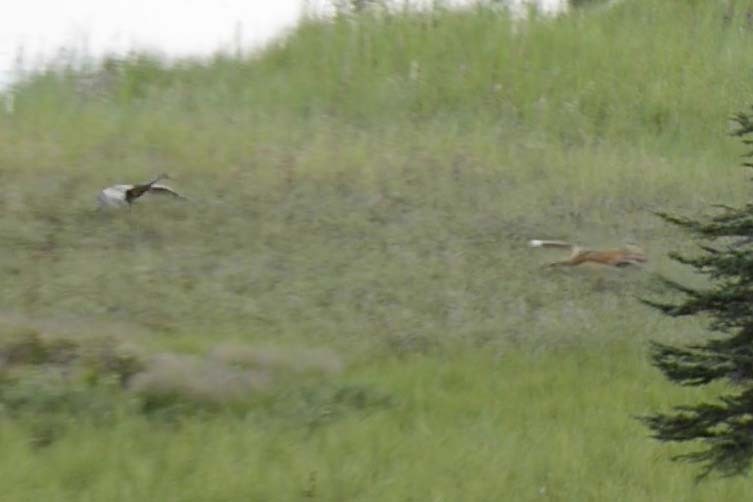 Millie and Roy returned from migration on April 27, 2015. 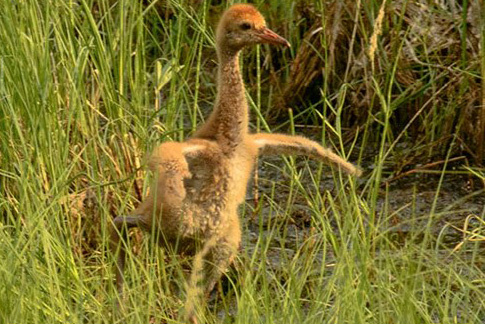 NestWatch 2015 progressively updates their activities over the nesting season. 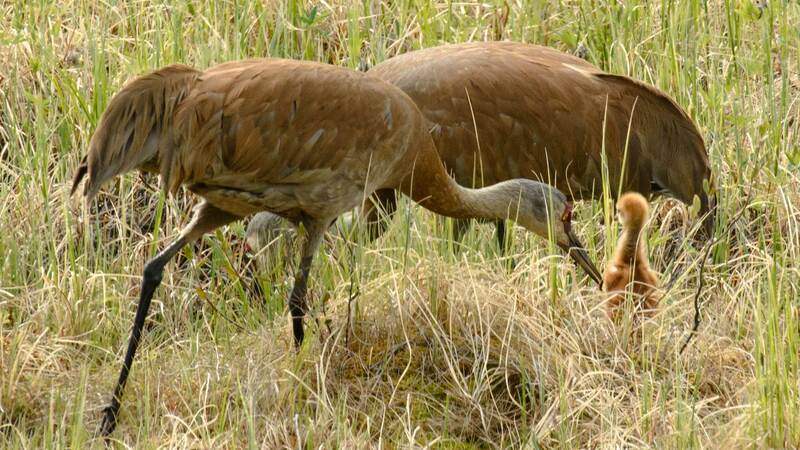 For the 20th year, a pair of cranes returned in late April and reclaimed their nest territory. Millie and Roy built their nest on the frozen marsh and defended it from intruders. Arrow's first schooling stresses physical conditioning and finding food. Lessons include "Vigilance", "Stay-close-to-a-parent", and "Flee-and-Hide". Millie and Roy eject a fox from the nest territory. Over 7 weeks of coaching leads to Arrow's first flight.